Carpet Box Extractor 100 PSI - Dual 3-Stage - 12 Gal. Optimizer Portable Extractor 100 PSI - 12 Gal. Carpet Box Extractor 100 PSI w/ Heat - Dual 2-Stage - 12 Gal. Sniper 100 PSI Indy Automotive Extractor w/ Heat - 6 Gal. Optimizer Portable Extractor 100 PSI w/ Heat - 12 Gal. 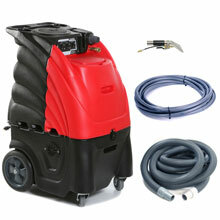 Carpet Box Extractor 300 PSI - Dual 3-Stage - 12 Gal. Carpet Box Extractor 300 PSI - Dual 2-Stage - 12 Gal. Carpet Box Extractor 500 PSI - Dual 3-Stage - 12 Gal. Carpet Box Extractor 100 PSI w/ Heat - Dual 3-Stage - 12 Gal. Carpet Box Extractor 200 PSI - Dual 2-Stage - 12 Gal. Carpet Box Extractor 200 PSI - Dual 3-Stage - 12 Gal. Sandia Optimizer Portable Extractor 300 PSI - 12 Gal. Carpet Box Extractor 500 PSI - Dual 2-Stage - 12 Gal. 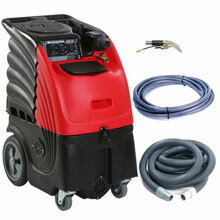 Carpet Box Extractor 300 PSI w/ Heat - Dual 2-Stage - 12 Gal. Optimizer Portable Extractor 300 PSI w/ Heat - 12 Gal. Carpet Box Extractor 300 PSI w/ Heat - Dual 3-Stage - 12 Gal.